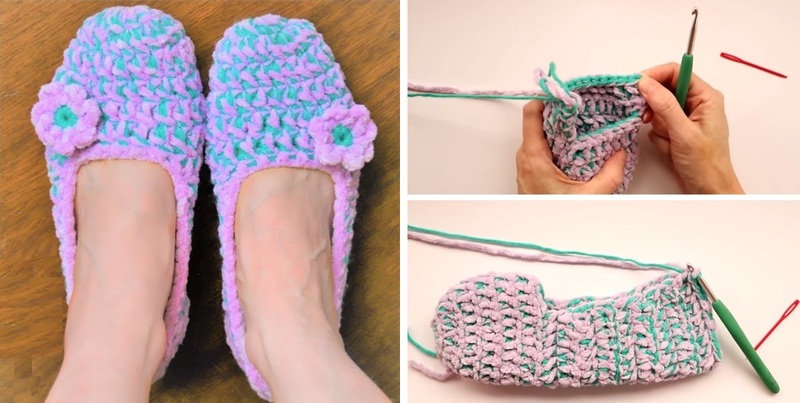 You wonder how to crochet an elegant slippers, which you can wear throughout the day – than today’s tutorial is definitely for you. We are going to learn to crochet this beautiful, very solid slippers and we are going to do so within the matter of half an hour. The tutorial is delivered in video format. Unfortunately in is not in English, but fortunately it is still very clear to follow along. You will have to have the sort of yarn that is shown in the instructions, otherwise your slippers won’t be as solid as the ones you can see on the pictures. Let’s dive in in the instructions, shall we.